If there’s one thing I love, it’s a book that keeps me hungrily flipping pages, searching for the answer to its central mystery. Paul Tremblay’s sophomore effort, DISAPPEARANCE AT DEVIL’S ROCK, is such a book. 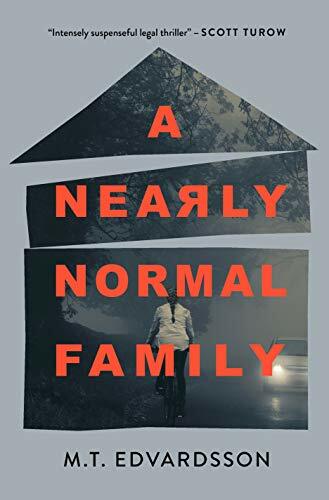 I thoroughly enjoyed this read, and found myself equal parts scared by and drawn into this cross between a crime novel and a supernatural thriller. DISAPPEARANCE AT DEVIL’S ROCK begins as a story of a missing child. Tommy and his friends were always riding their bikes to a nearby state park, exploring its grounds and making harmless mischief – uneventful outings in the lives of very ordinary suburban teens—until one day, Tommy doesn’t come home. A desperate search for the boy is launched, and readers fall in step with Tommy’s mother, Elizabeth, as her world is shattered and she is thrown into every parent’s worst nightmare. Broken by grief and tormented by the unknown, Elizabeth is wholly unprepared for the strange events that follow: whispers around town of a shadowy figure spotted lurking outside houses in the night, mysterious journal pages appearing in Elizabeth’s home, and unanswerable questions arising about the private life of the son she thought she knew so well. DISAPPEARANCE AT DEVIL’S ROCK is a delicious blend of supernatural thriller and crime novel – a read spooky enough to chill many thriller readers, while maintaining the elements of a crime novel that always appeal to me most: a methodical police investigation, and the pursuit of truth in the midst of tragedy. While this book is not a hard-boiled detective story or a truly complex and layered crime novel, it is completely worthy of a binge-read this summer. My personal favorite element of Tremblay’s writing is his masterful ability to blur the lines between reality and the supernatural. Tremblay’s first novel, A HEAD FULL OF GHOSTS, exhibited this same quality, but DISAPPEARANCE AT DEVIL’S ROCK marks a step up for this writer. DISAPPEARANCE brilliantly blurs these lines through the character of Elizabeth. Seen through the lens of a grieving and desperate mother, the supernatural sightings presented in this book are hardly unbelievable—in fact, I found myself quite convinced of their veracity. As ghostly apparitions and inexplicable occurrences plague this mother, I was glued to the pages in search of the author’s ultimate explanation. If you are looking for a pure supernatural thriller, this book might disappoint you for the exact reason that made me love it as much as I did. For all the supernatural elements present in this book, Tremblay consistently reminds us that the true evil – the thing we need to fear most of all – is not found in a supernatural realm; rather, it is found right here in our midst. Tremblay’s true talent lies in tricking us into believing that we can blame an otherworldly entity for an evil that turns out to be very much of our own making. DISAPPEARANCE AT DEVIL’S ROCK by Paul Tremblay releases today, June 21, 2016, from William Morrow.